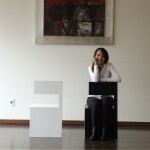 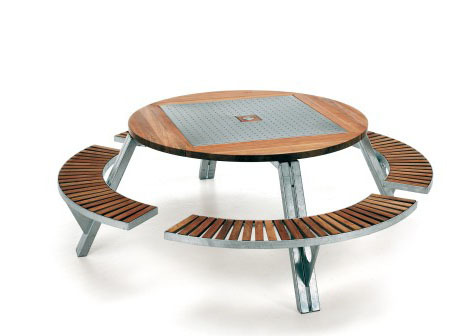 Here comes something useful and creative for your garden furniture. 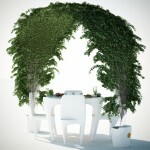 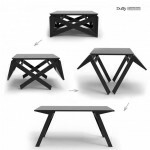 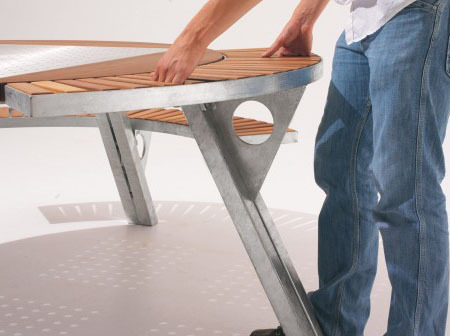 Gargantua is a multi-functional garden table that can accommodate 8 people at one time. 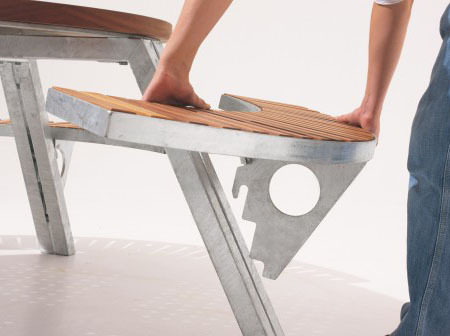 There are 4 benches that can be deranged and replaced by a wheelchair or a highchair. 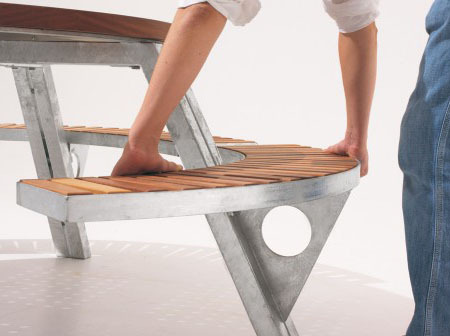 You can install its benches according to your height. 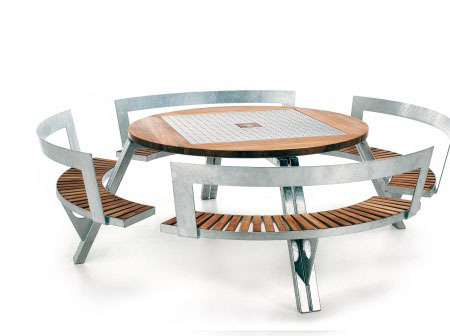 If all the benches are in the highest position, this table can accommodate 12 people but you would require some extra chairs for this. 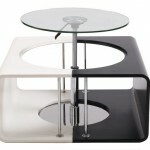 This multi-functional table can be used for family gatherings, small get-together and kid’s party. 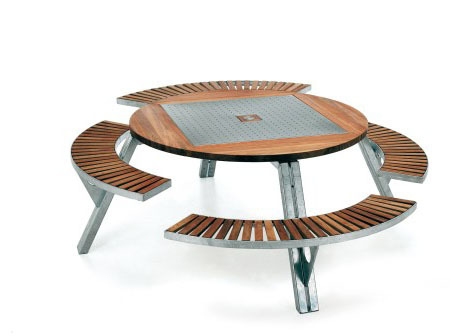 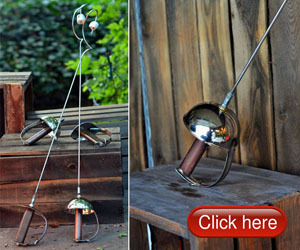 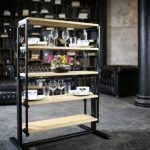 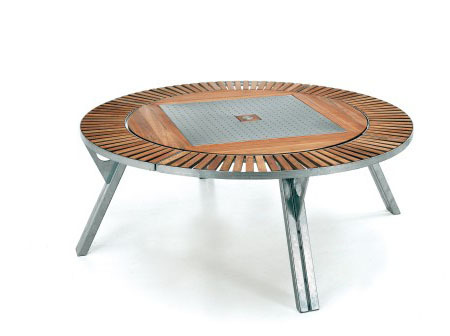 This beautiful creation is made up of stainless steel, teak and gal vanished metal. 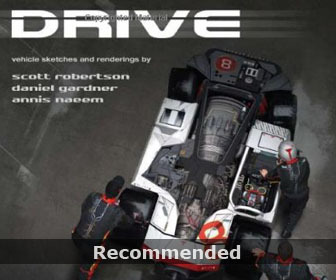 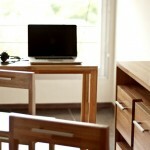 It serves as a perfect combination of comfort, quality and functionality. 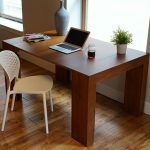 This entry was posted in Furniture, Outdoors. 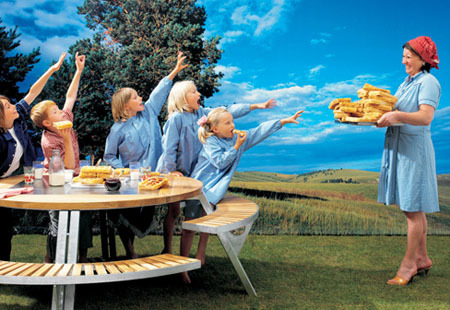 Tagged as benches, family gatherings, garden furniture, highchair, perfect combination.